Grade 5 teacher, Kathy Diaz and her co-First Lego League co-coach and husband, Rudy Diaz, made a $3,000 contribution to a school in The Gambia in the names of the teams they coach. 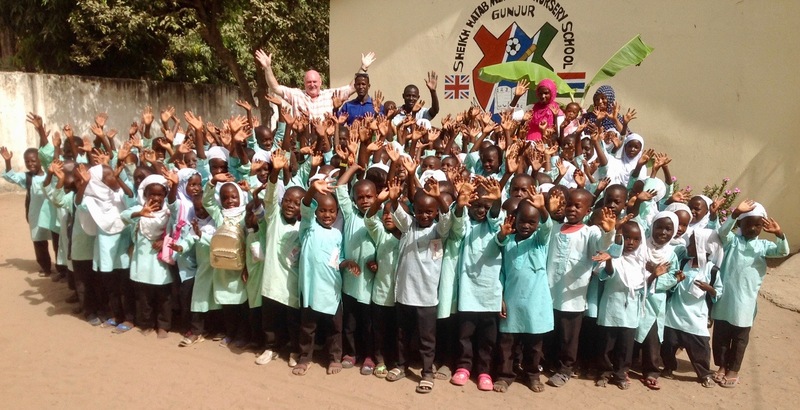 The generous $3,000 contribution made it possible for a school in The Gambia to open. Mrs. Diaz met children's author Neil Griffiths several years ago when they worked together on a charity project called Reading Dreams. They traveled throughout China together opening libraries in rural schools and had the opportunity to re-connect when Mr. Griffiths visited Shekou International School as a visiting author sharing his book, Fatou Fetch the Water. The book highlights the difficulty children in The Gambia face in collecting drinking water for their families. The book tied into this year's First Lego League (FLL) theme, human water cycle issues. As the coach of two first lego league teams, Mrs. Diaz realized there was an opportunity for her students to better understand the problems children growing up in The Gambia face, particularly in relation to clean water accessibility. Mr. Griffiths, who now works in The Gambia opening schools, sent powerpoint presentations and photos to help our students understand the human toll. Mrs. Diaz's two teams, the Rock'N Robots and the Hydro-Bots worked on filtration projects and were so inspired by Mr. Griffiths' presentations that they reached out to ask how they could help. Mr. Griffiths mentioned that a new school that he was building could not be opened until he found funding to install much needed bathrooms. As a thank you to her teams' hard work and dedication to their FLL projects, Mr. and Mrs. Diaz, made a $3000 donation in the name of the Rock'N Robots and Hydro-Bots. 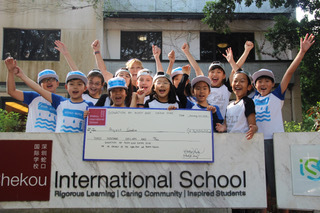 This weekend, these two teams travel to Shanghai as they compete in the international school competition. We wish them all the best and can't wait to hear their stories.